Payment of at least 3 months’ worth of premiums within the immediate 6 months of confinement. For pregnancies, availing of the newborn care package, dialysis, chemotherapy, radiotherapy and selected surgical procedures, 9 months’ worth of contributions in the last 12 months is needed. Confinement in an accredited hospital for 24 hours due to illness or disease requiring hospitalization. Attending physician(s) must also be PhilHealth accredited. Claim is within the 45 days allowance for room and board. A Clear, Updated copy of your Member Data Record (MDR). If you are dependent, make sure that you are listed in the MDR. An original copy of PhilHealth Claim Form 1, which you can get at Philhealth, the hospital or your employer. Submit the original copy signed by your employer. Receipt of Premium payments. Employees only need to submit the Certificate of Premium Payments with OR numbers. Your PhilHealth ID and a valid ID. If you can’t submit the claim form personally, have an authorization letter and a valid ID ready for your representative. As direct filing is no longer needed, submission of the documents to the hospital before the end of your stay means automatic deduction of your benefits from your total bill. Once your benefits have been automatically deducted, PhilHealth will send a benefit payment notice to the address declared in your MDR. 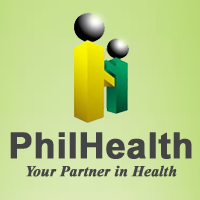 This details the actual payments made by PhilHealth relative to your claim or confinement. Keeping your PhilHealth up to date is important, as it’ll be a great help if you or anyone declared as your dependent requires hospitalization.